The Royal Canadian Mounted Police acted carelessly and with disregard for "the long-held rights of Parliament” when it posted misleading advice to firearm and gun shop owners about the Liberals' gun legislation, according to a new report tabled in the House of Commons. A parliamentary committee was looking into whether the RCMP should be found in contempt of Parliament for posting potentially misleading advice to firearm and gun shop owners regarding the Liberals' gun legislation. The Royal Canadian Mounted Police acted carelessly and with disregard for "the long-held rights of Parliament" when it posted misleading advice to firearm and gun shop owners about the Liberals' gun legislation, according to a parliamentary committee. 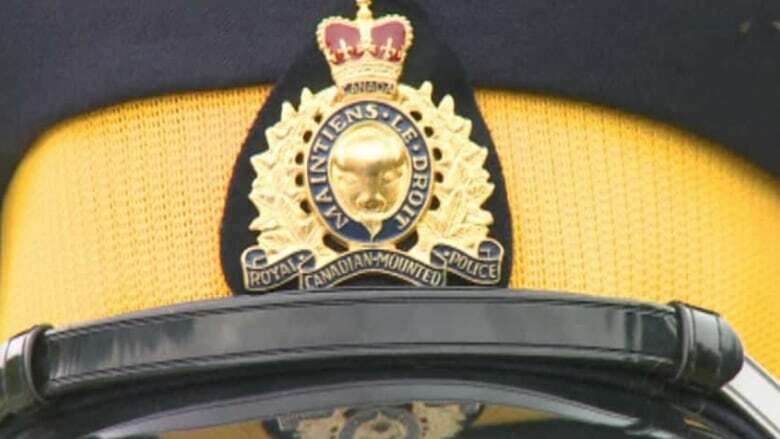 The standing committee on procedure and house affairs roasted the RCMP for its behaviour in a report tabled in the House of Commons Wednesday, but ultimately decided the force wasn't in contempt of Parliament. The committee had been looking into whether the Canadian firearms program's website anticipated a decision of Parliament by leading readers to believe that Bill C-71 had already been enacted. In fact, the bill is still winding its way through the Senate. The controversial legislation would reclassify two types of firearms — most models of the Ceska zbrojovka CZ-858 rifle and certain Swiss Arms firearms — as "prohibited," which means owners would have to apply to have their rifles "grandfathered" or face dispossession. 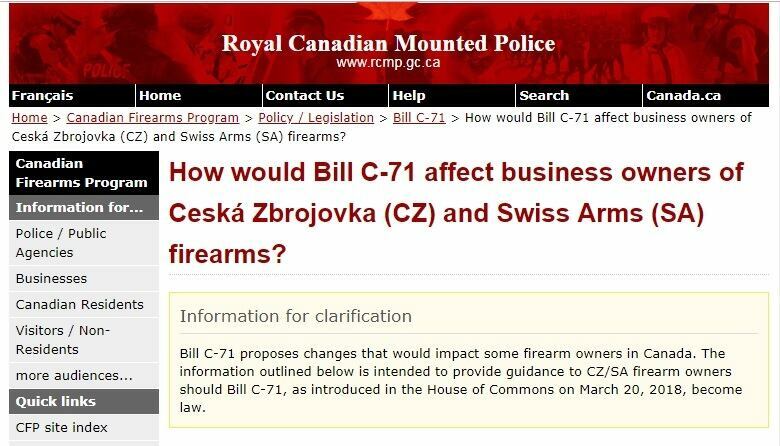 In a bulletin posted last April, the RCMP wrote that "if your SA firearm was listed in Bill C-71, it will be classified as a prohibited firearm." The bulletin went on to detail the steps gun owners would have to take to get their guns grandfathered. Conservative MP Glen Motz — a noted opponent of the bill — raised a question of privilege in the House about what he called the "presumptuous" language of the bulletin, triggering the committee's investigation last October. "Despite finding no evidence that a contempt was intended towards the House of Commons, the Committee finds that the RCMP's communications about Bill C-71 demonstrated carelessness and a regrettable disregard for both the government-wide Treasury Board communications policies and the long-held rights of Parliament," says the report. "The result of the RCMP's communications on Bill C-71 has been to damage public trust in the RCMP and lower the esteem in which the public holds both the RCMP and Parliament." The report said that more members of the committee agreed that the language used by the RCMP could have led a reasonable person to believe that the bill would definitely come into effect, or was already law. The committee accepted apologies from both the RCMP and the public safety minister. "The committee has found no evidence of malice or ill-intent on the part of the Minister or the RCMP and accepts that the error was committed in good faith," it said. However, the committee cautioned it might not be as generous in the future and issued a warning to other departments and agencies. "Should the Committee be confronted with a similar case in the future, its response will not be as charitable," it warned. "The public relies on the public service to provide it with clear, timely and accurate information. As part of their mandate, government departments and agencies have a duty to keep citizens informed about changes to the law." A spokesperson for Public Safety Minister Ralph Goodale said the government accepts the committee's recommendation. "Minister Goodale is grateful to the standing committee on procedure and house affairs for its work to defend the legislative process and ensure government agencies communicate clearly about it," said Scott Bardsley in an email. The outnumbered Conservative members of the committee said they believe the force should have been found in contempt and offered their take in a dissenting opinion. "Open disrespect of the House's authority is a contempt," they wrote. "The precedent the Liberal majority could be setting for future government communications about parliamentary business is of grave concern to Conservatives."